Harmony of the Seas, one of Royal Caribbean’s upcoming cruise ship this year is coming along nicely at the STX shipyard in France. 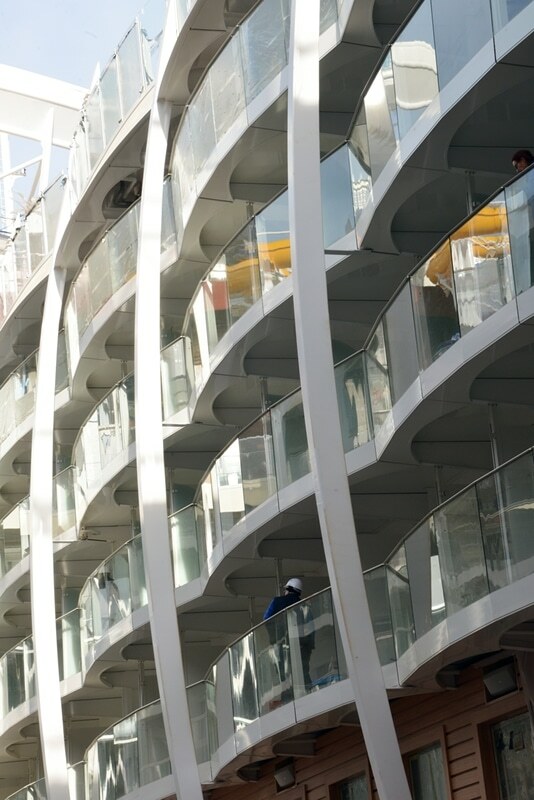 The Miami based cruise line has released a few more photos from Harmony of the Seas, they just love to tease those who can’t wait to try out the world’s largest cruise ship. 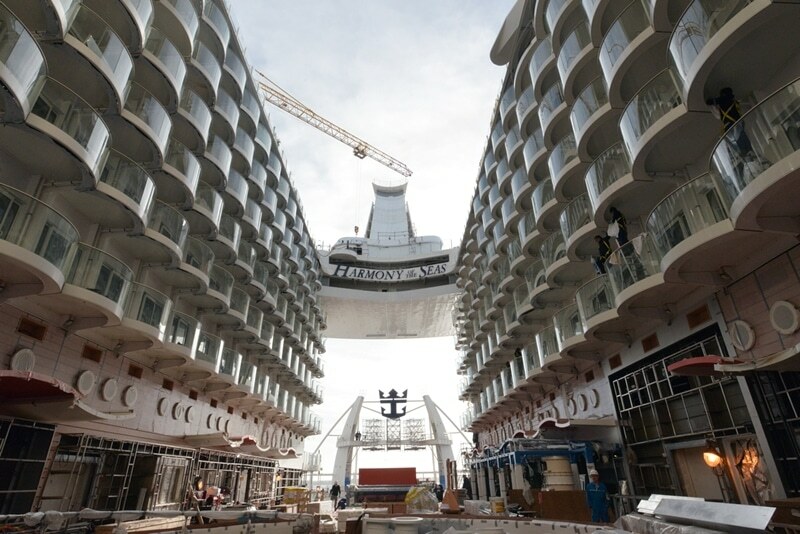 As you can see from the photos the ship is really starting to take shape. 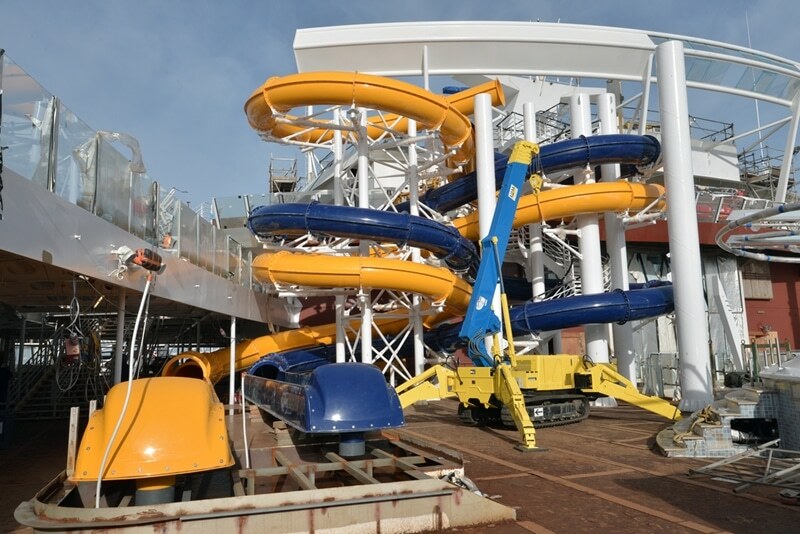 The water slides are being installed and the interior spaces are starting to actually look like something. 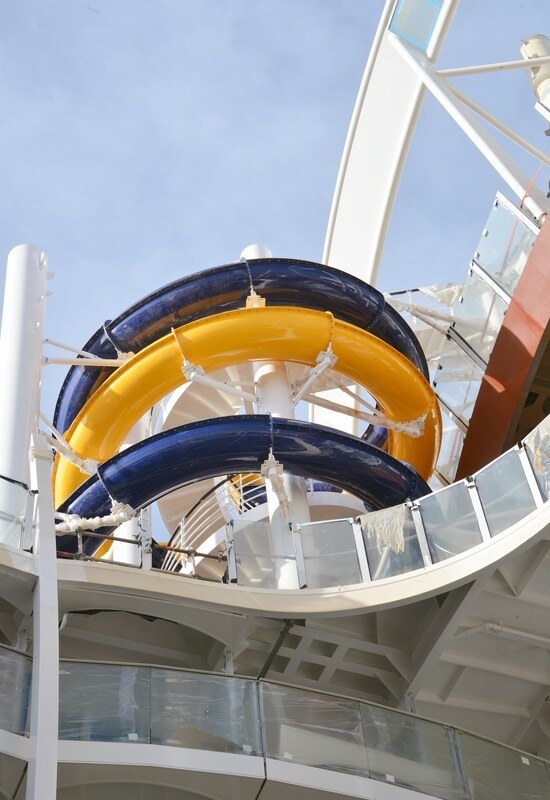 Harmony of the Seas will be all set by May when she begins sailing from Southampton, UK. After an inaugural season in Europe the vessel will then begin Caribbean cruises from Fort Lauderdale, Florida. You can also see the previous construction photos right here.